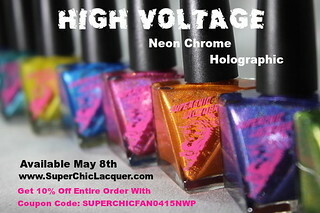 On Monday, I showed you all swatches of Lorelei Lacquer's Neon Sunset Collection (and a little giveaway and discount code). 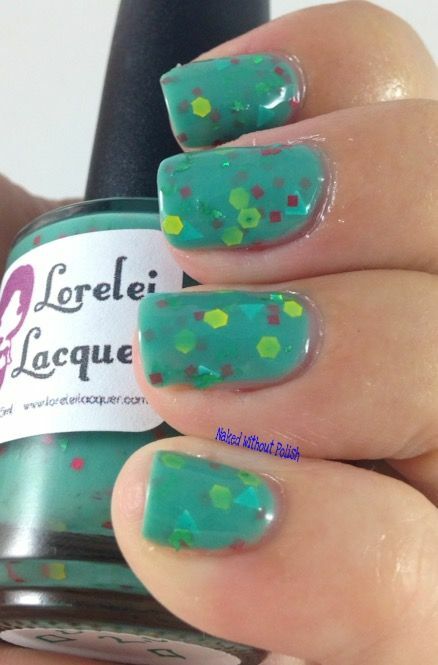 Today, I've got swatches of the gorgeous Forever Alone LE Duo and BMO 2.0, the missing link from the Adventure Time Collection (swatches here). I'm not going to bore you with a bunch of talk here. Let's jump right to it! 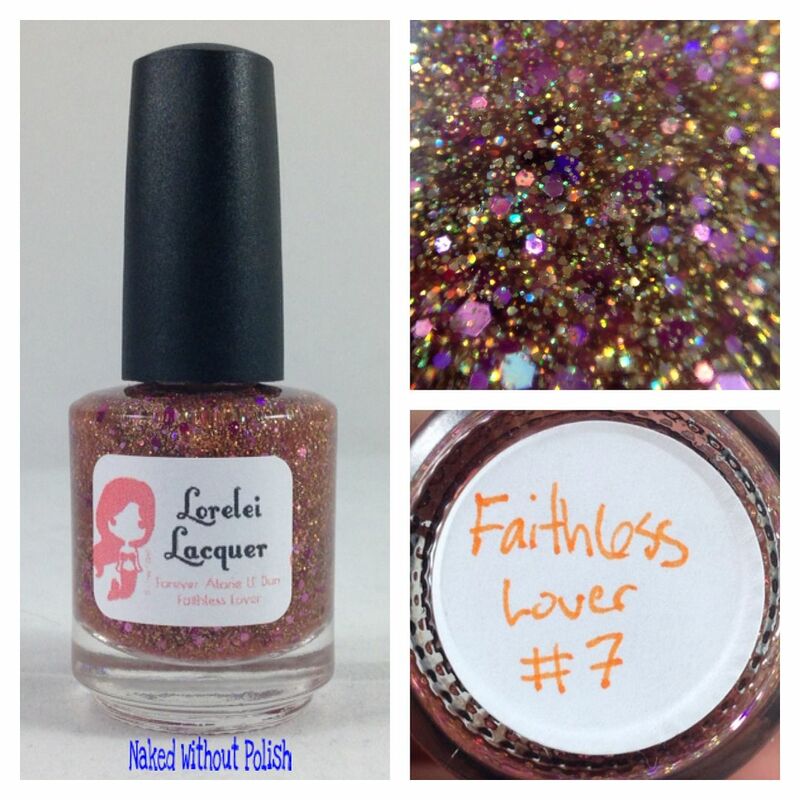 Faithless Lover is described as "a holo glitter topper consisting of copper, fuchsia, and light pink". 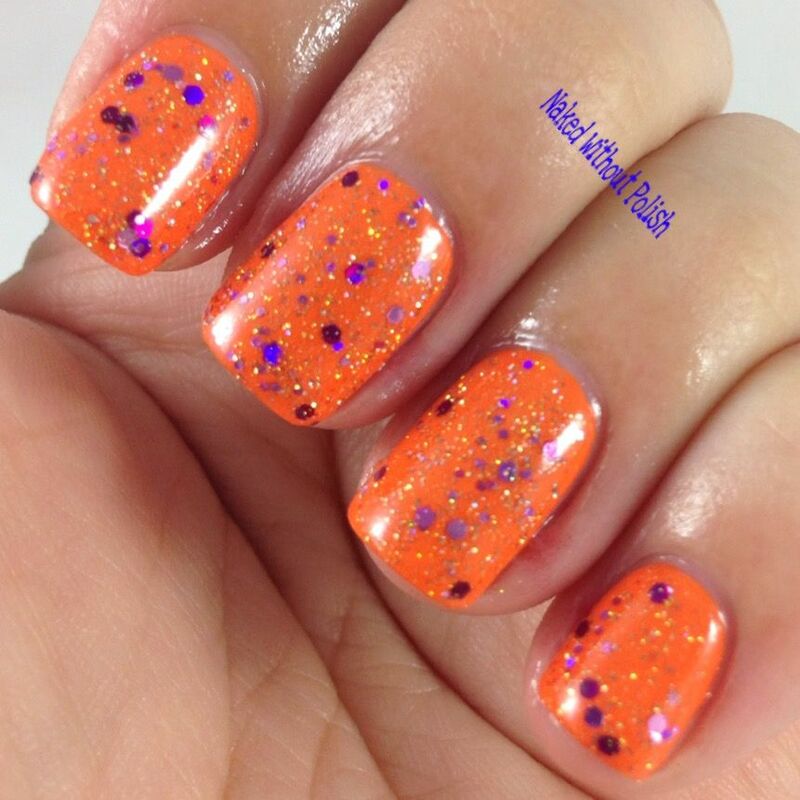 Shown is three coats of Faithless Lover. In the bottle, Faithless Lover is mesmerizing. I caught myself rolling the bottle around in my hands just watching it sparkle. 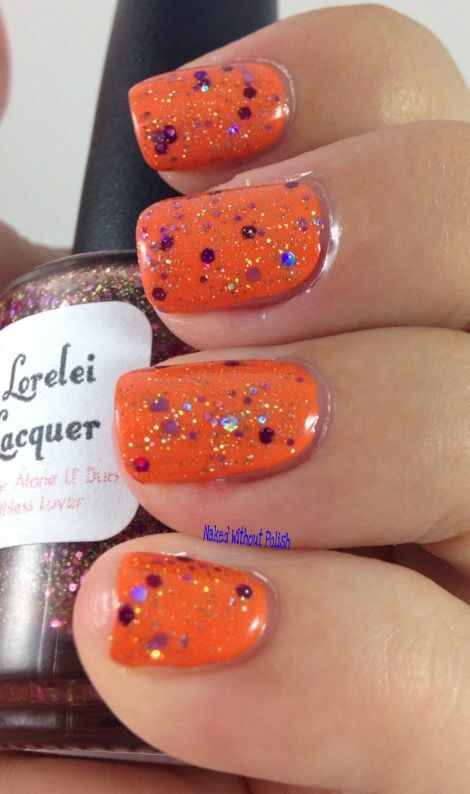 Then, I got it on my nails. 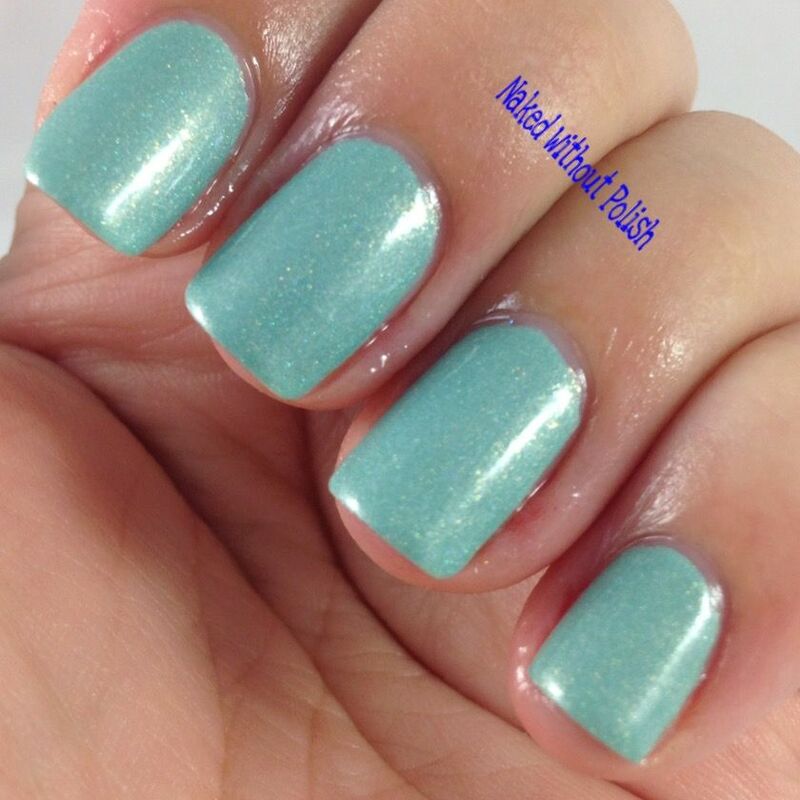 It is dainty, feminine, and oh so flirty. Since all the other swatchers were putting Faithless Lover over Lorelei's Tears, I decided to grab something different to test it out as a topper. 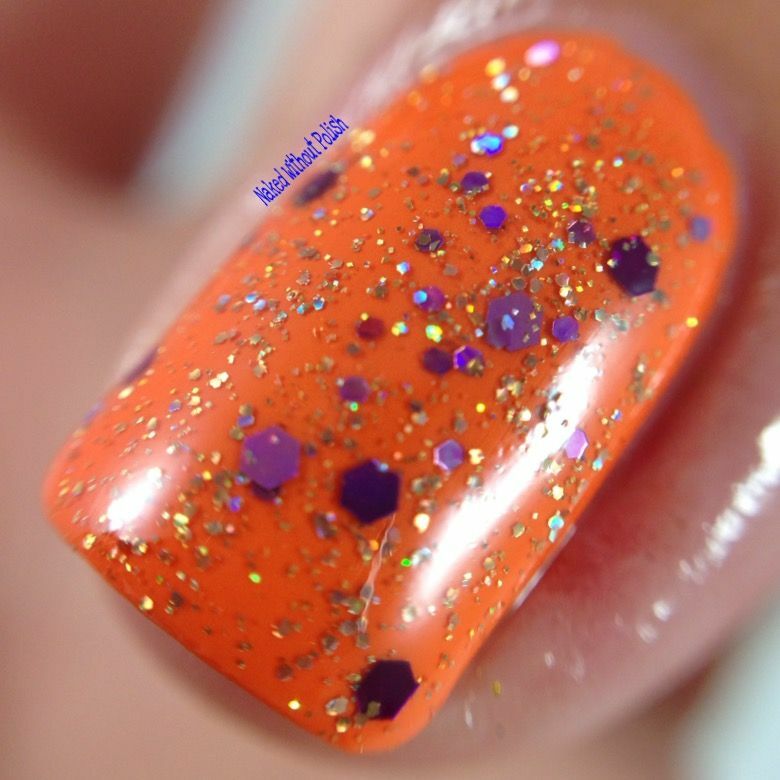 One coat over FingerPaints Tie Dye Tangerine. 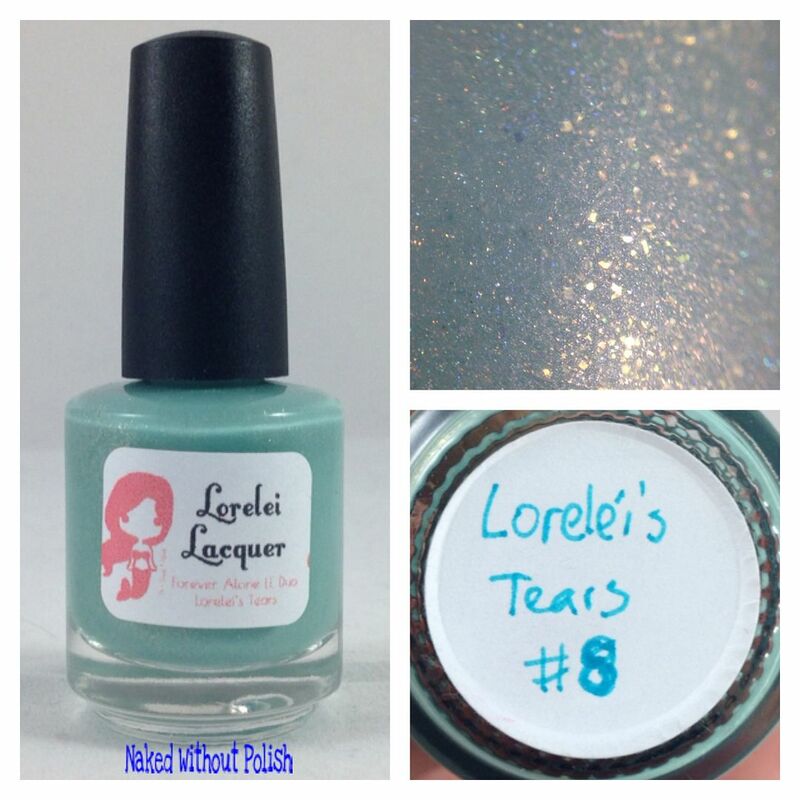 Lorelei's Tears is described as "a golden aqua linear holo". 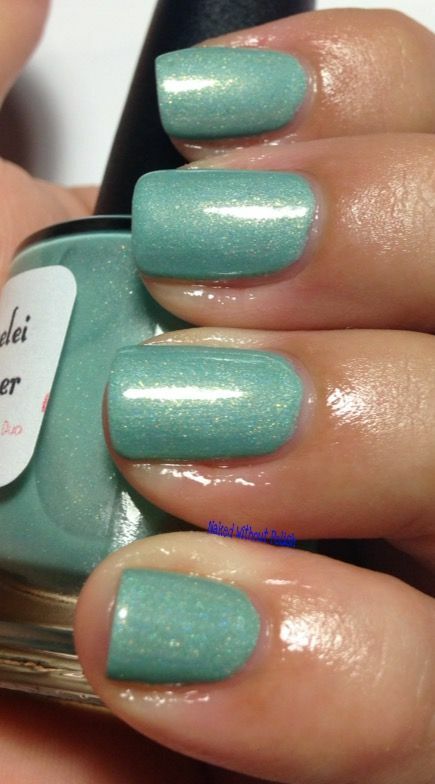 Shown is three coats of Lorelei's Tears. 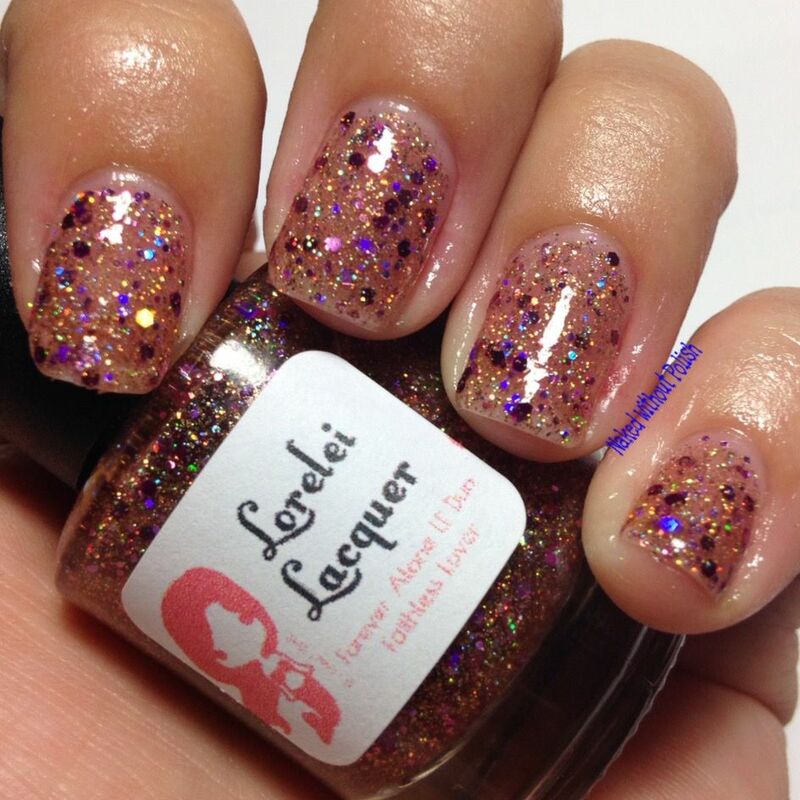 If you fall in love with Lorelei's Tears when you see it in the bottle, you're going to flip your $h*t when it gets on your nails. 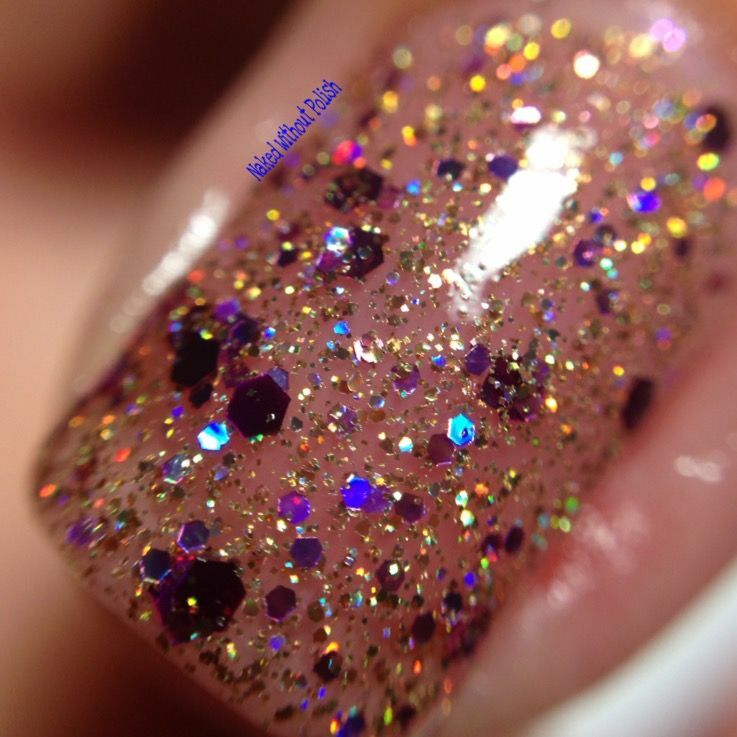 This polish is absolutely incredible! 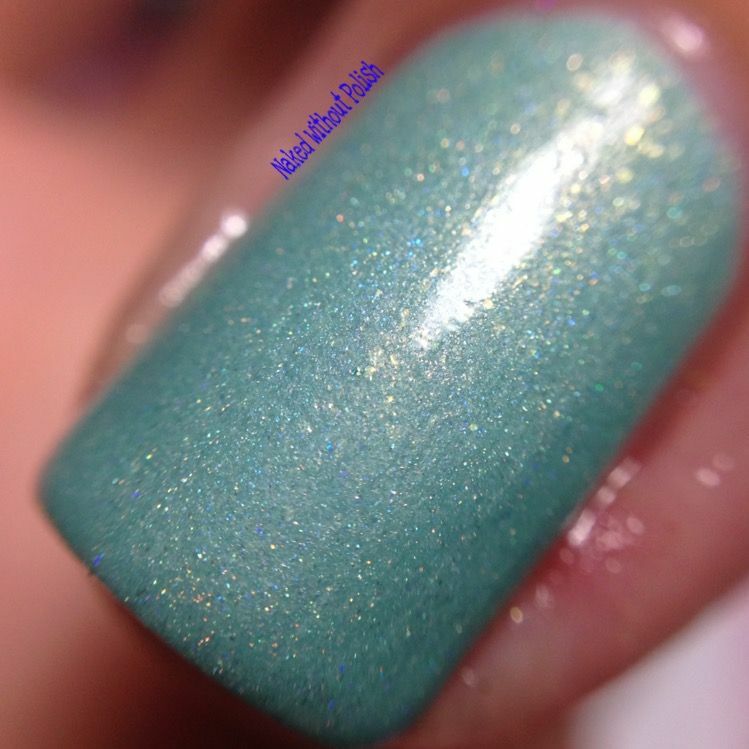 A stunning seafoam base with linear holo and scattered with gold flecks. 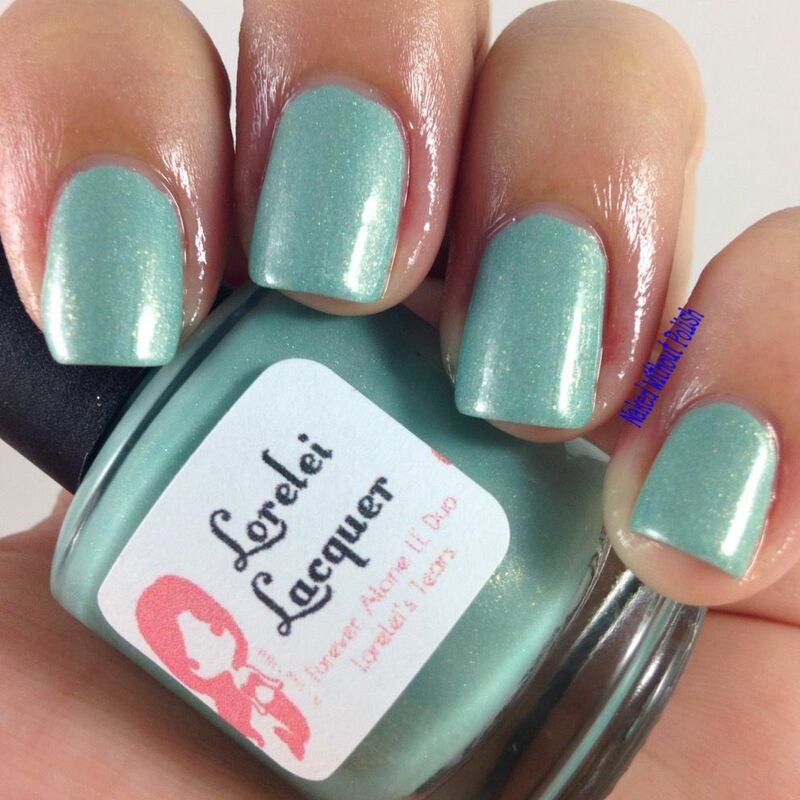 The Forever Alone LE Duo is available now for $12 mini or $18 full sized. In my opinion, this is a must have duo. 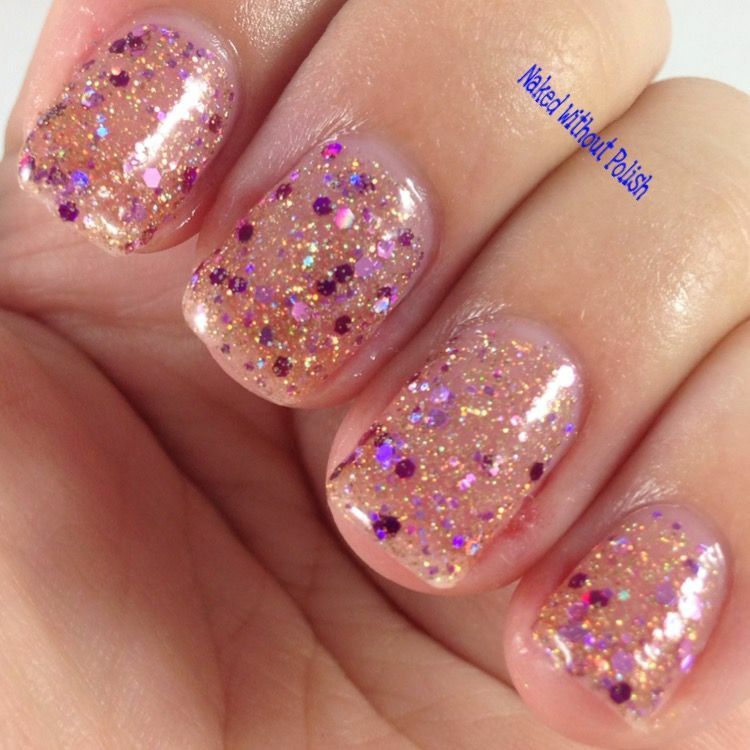 The formulas are perfect and the polishes are absolutely stunning. Do yourself a favor and snag them before they leave at the end of July! You'll regret it if you miss it. 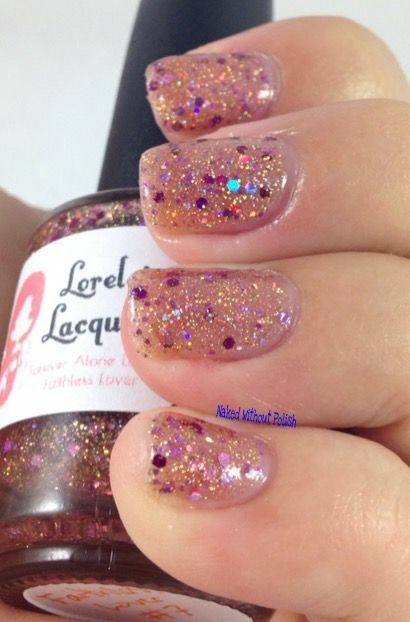 Next up is the polish that was left out of the Adventure Time Collection due to issues with one of the glitters bleeding. I'm glad she was able to find a replacement glitter, because an Adventure Time Collection is NOT complete without BMO!! BMO 2.0 is described as "a turquoise blue crelly with hot pink squares, matte yellow hexes, blue triangles, and metallic green shreds". Shown is three coats of BMO 2.0. 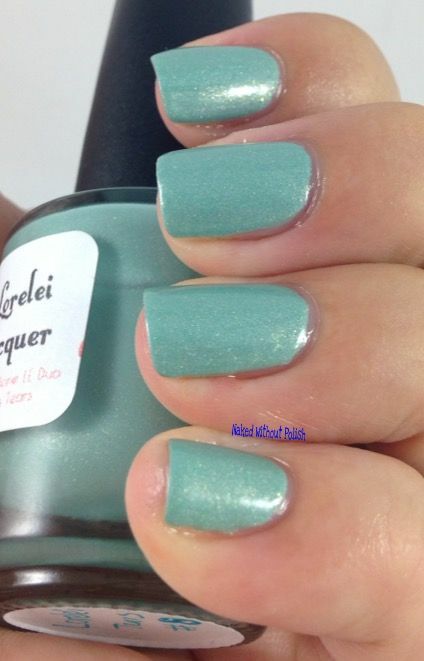 This polish screams BMO. You could look at the bottle and know instantly what the inspiration was without knowing anything about the collection. BMO 2.0 captured it's inspiration perfectly. It had a good application, just a couple issues with the shreds, but that is easily maneuverable. What do you all think of these?! 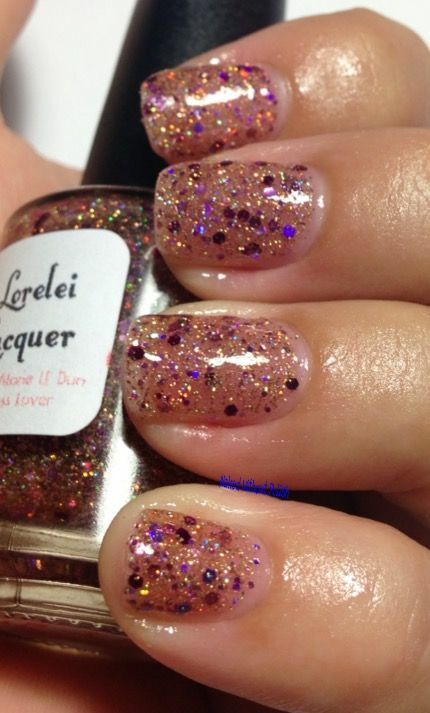 Have you tried Lorelei Lacquer yet? If not, you need to jump on this bandwagon ASAP! 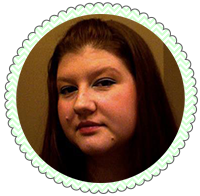 She's going places and you're going to want to go there with her! 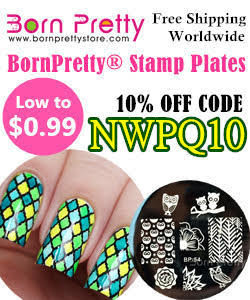 Don't forget about my discount code NAKED10 to get 10% off your purchase anytime!